As Americans continue to debate the impact of the Affordable Care Act (ACA), perhaps a quick look at the historical timeline of employer-sponsored healthcare will provide context for the state of American healthcare as it exists today. Before the 1930s, the American public largely paid its own way where medical costs were concerned. With the exception of a few industries, employers by and large had little motivation to provide health coverage. Americans who worked in dangerous professions like mining, steel, and railroads had access to company doctors in industrial clinics or union-operated infirmaries. Though this was not healthcare as it exists today, these company-sponsored clinics were some of the earliest precedents of businesses becoming involved in their employees’ well-being. After his election to the presidency in 1932, Franklin D. Roosevelt chose not to pursue universal healthcare coverage. Several factors influenced his decision, not the least of which was major opposition from the American Medical Association. Roosevelt toyed with the idea of nationalizing healthcare as part of his plan for Social Security. However, he was a politically astute man, and he realized that tying universal health coverage to the Social Security Act might doom both initiatives to failure. Of course, Roosevelt's decision left unresolved the pressing need of many Americans for some way to deal with healthcare costs. 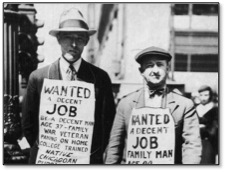 In the grips of the Great Depression, many were hard pressed to find money for essentials like food and shelter. Healthcare often fell by the wayside for families working to access the basic necessities of life. Into this environment came the beginnings of private health insurance, with Blue Cross and Blue Shield plans paving the way for private insurers to begin crafting plans to meet the needs of the growing market. Still, at this stage, employers were not generally in the picture, and these original health insurance offerings were purchased almost exclusively by individuals. Once America became embroiled in World War II, there was great concern that rampant inflation would threaten America's military effort and undermine its domestic economy. The concern was valid, as Americans had witnessed what inflation had done to war-torn Germany, devastating its economy and giving rise to Hitler's regime. 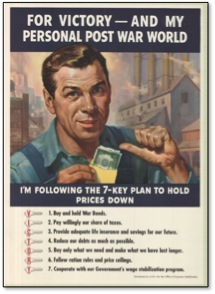 To combat inflation, the 1942 Stabilization Act was passed. Designed to limit employers' freedom to raise wages and thus to compete on the basis of pay for scarce workers, the actual result of the act was that employers began to offer health benefits as incentives instead. Suddenly, employers were in the health insurance business. Because health benefits could be considered part of compensation but did not count as income, workers did not have to pay income tax or payroll taxes on those benefits. 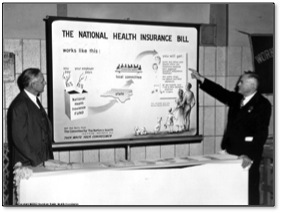 Thus, by 1943, employers had an increased incentive to make health insurance arrangements for their workers, and the modern era of employer-sponsored health insurance began, a pivotal point in the History of Healthcare in America. The 1950s saw the expansion of healthcare coverage options, as strong labor unions began to bargain for better benefit packages. Major medical plans evolved during this era, with vision care becoming a popular option in 1957 and dental benefits becoming an offering in 1959. This created a serious situation for retirees, however. Because employer-sponsored healthcare had now become the cornerstone of the entire American healthcare system, health costs fell victim to inflation, and retired Americans found themselves unable to afford private coverage. In 1965, Lyndon Johnson created the Medicare and Medicaid systems to address the issue of healthcare for retirees and for those working in low-paying jobs for companies that did not offer healthcare benefits. By the late 60's and early 70's, it was becoming increasingly clear that healthcare reform was in order. In 1971, Senator Edward Kennedy proposed a single-payer plan that would have likely expanded nationalized healthcare to every American. Nixon had his own plan, and it appeared that healthcare reform would happen. However, Watergate derailed that plan, and healthcare reform took a back seat to other national policy issues for the following decades. With Bill Clinton's election to the presidency in 1992, healthcare once again took center stage in the national debate. Putting his wife, Hillary Clinton, in charge of promoting his health insurance reform plan known as the Health Security Act, Clinton intended to enact legislation that would require virtually all Americans to enroll in a health policy, which would be managed by regional purchasing cooperatives. By 1993, Clinton's plan died in Congress, largely because it was considered too radical an overhaul of the healthcare system. This left the major portion of healthcare still in the hands of employers. To deal with the growing number of employers who were dropping coverage because of rampant inflation, the HMO as we know it today was born. 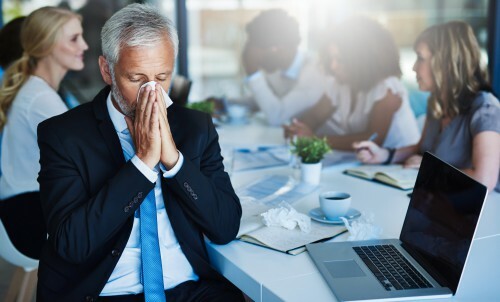 Employees were generally unhappy with managed care options, as they wanted greater autonomy concerning their health decisions. Patient “bills of rights” were crafted, and HMOs became more liberal, with so-called open-access plans. Meanwhile, healthcare costs continued to rise. In 2010, in response to the crisis state of American healthcare, President Obama signed into law the Affordable Care Act. Met with stiff opposition and widely called by the moniker “Obamacare,” the ACA is still in its infancy. While it remains to be seen what the long-term effects of Obamacare will be, there is little doubt that we are in the midst of a new chapter in America's turbulent healthcare history. If you would like information about employer-sponsored healthcare initiatives and how the Affordable Care Act affects them, please contact us. As experienced benefits consultants, we can answer your questions and work with you to craft a benefits package that is ACA-compliant and affordable for your business and your employees.